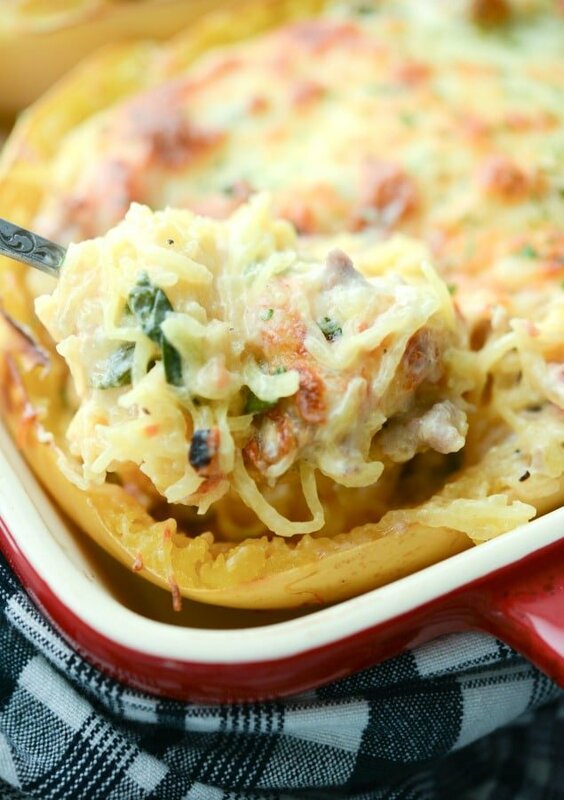 Italian Stuffed Spaghetti Squash made with sweet Italian sausage, fresh spinach, garlic, and fire roasted tomatoes topped with shredded Mozzarella cheese. The last time I tried to make spaghetti squash was several years ago. The recipe didn’t turn out quite the way I had anticipated, so I never really tried to make it again until recently when my oldest daughter went food shopping for me and purchased one. 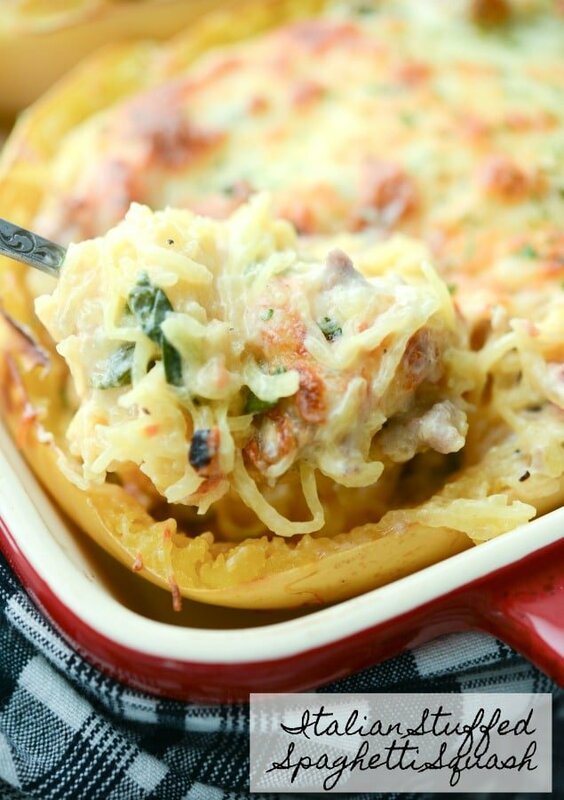 I was in the mood to experiment with some new recipes and came up with this Italian Stuffed Spaghetti Squash. OMG it was AH-MAZING!!! I don’t know why I waited so long to make spaghetti squash again, but it was more than likely due to the fact that the first time I made it I used the microwave to save time and this time I roasted it in the oven. Yes, the squash does take longer to cook this way, but the “noodles” scraped out of the shell with no issues like I had last time. For this recipe, I used sweet Italian sausage, fresh spinach, fire roasted diced tomatoes (my new go to pantry ingredient! 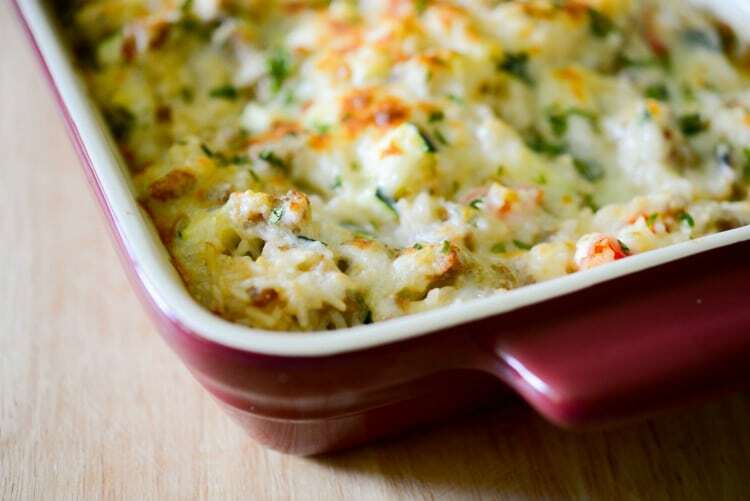 ), garlic, cream cheese and shredded Mozzarella cheese (I used part skim). 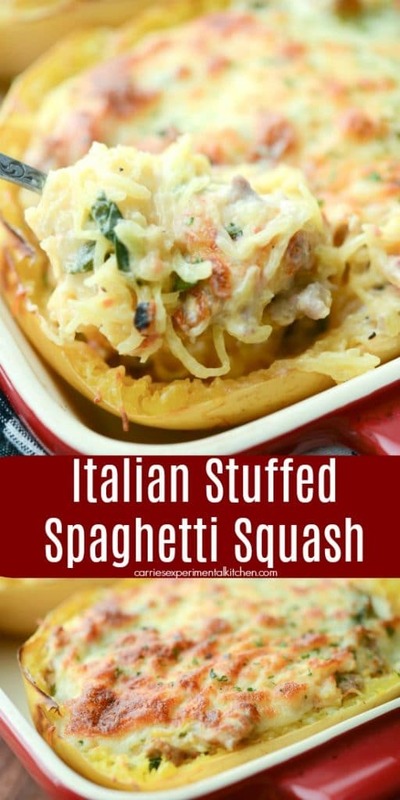 Start by cutting your spaghetti squash in half lengthwise and scraping out the seeds (similar to a pumpkin). 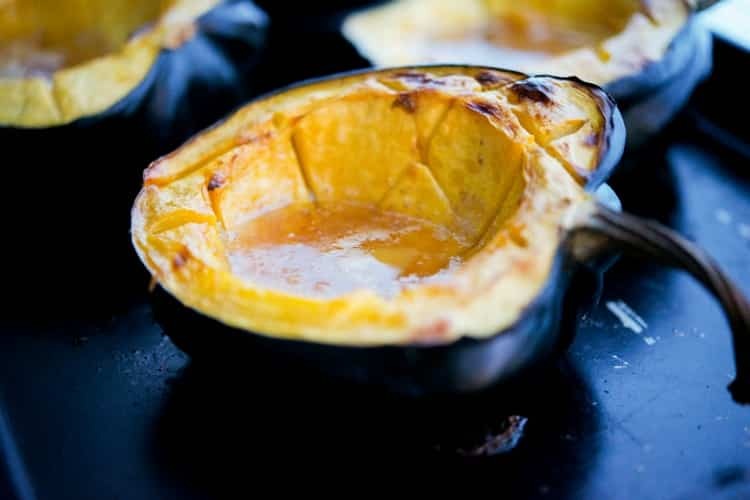 Place the squash meaty side down on a baking sheet or oven safe baking dish and cook in a 400 degree F oven. My squash was a pretty large one (approximately 3 lbs.) so it took about 45 minutes to soften, but check your squash after 35 minutes if it’s on the smaller side. The squash is done with the outer skins start to shrivel inward. While the spaghetti squash is cooking, it’s time to make your filling. Heat a little EVOO in a large skillet and brown your sausage. When the sausage is cooked through and no longer pink, add the spinach, garlic, and tomatoes and cook until the spinach has wilted; then add the cream cheese and stir until it has blended in with the sausage mixture. Remove from heat and cover until you’re ready to add the squash. Using a fork, scrape the squash in long front to back motion creating “spaghetti” and add the vegetable to the sausage mixture. Do this for both halves; then mix the ingredients all together. 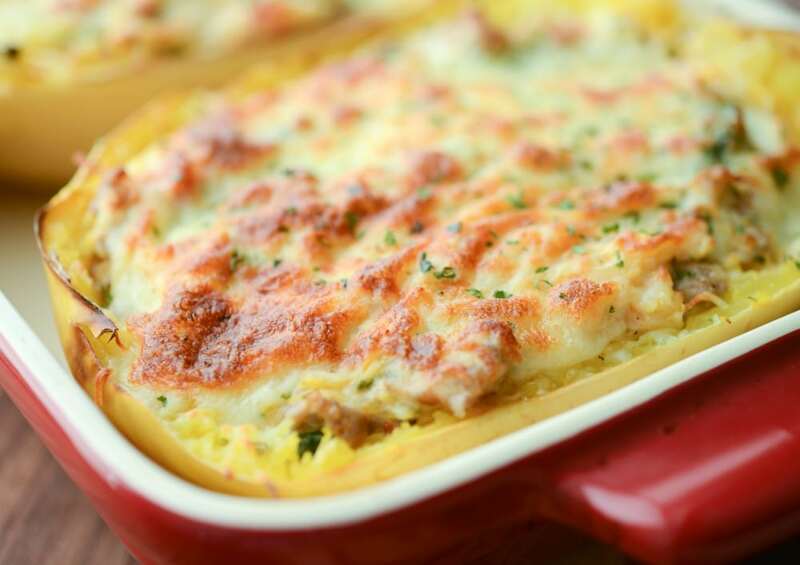 Finally add the mixture back into the two squash halves, place back onto your baking sheet or in your baking dish, top with the shredded Mozzarella cheese and place under the broiler for 3-4 minutes until the cheese has melted. Garnish with chopped basil or parsley and serve hot. 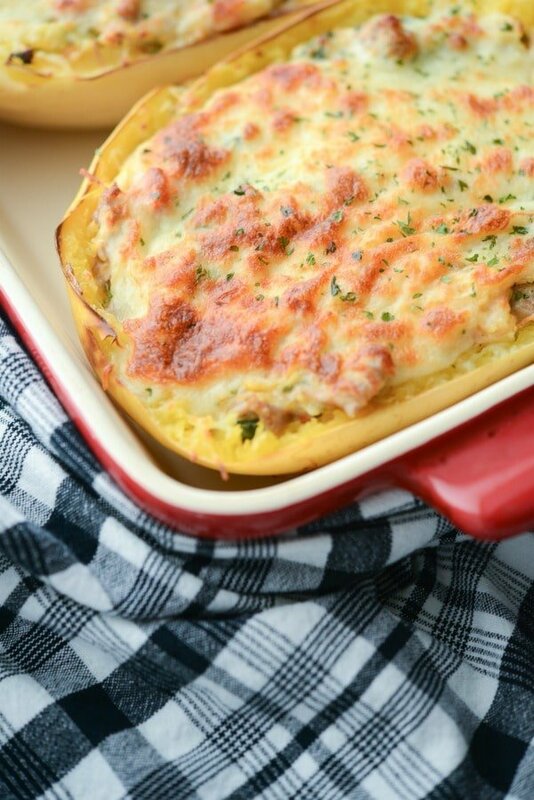 This Italian Stuffed Spaghetti Squash was incredibly tasty and so filling too. 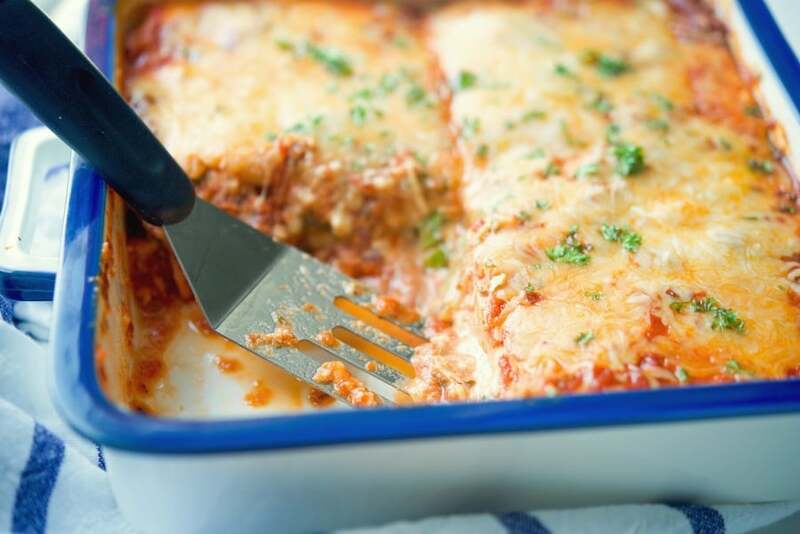 If you don’t like traditional Italian sausage, try substituting ground or boneless diced chicken or turkey or make it vegetarian by omitting the meat altogether. This low carb, gluten free recipe serves four and my family loved it so much, they want me to make it again. Like next week again, it was that good. ~Enjoy! 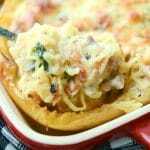 Start by cutting your spaghetti squash in half lengthwise and scraping out the seeds (similar to a pumpkin). 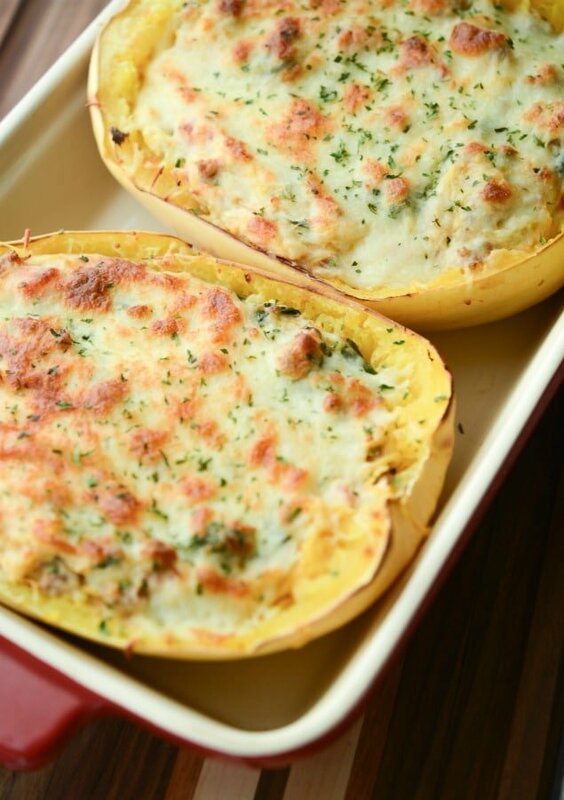 Place the squash meaty side down on a baking sheet or oven safe baking dish and cook in a 400 degree F oven for approximately 45 minutes to soften. While the spaghetti squash is cooking make your filling. Heat the oil in a large skillet and brown your sausage. When the sausage is cooked through and no longer pink, add the spinach, garlic, and tomatoes and cook until the spinach has wilted; then add the cream cheese and stir until it has blended in with the sausage mixture. Remove from heat and cover until you're ready to add the squash. Using a fork, scrape the squash in long front to back motion creating "spaghetti" and add the vegetable to the sausage mixture. Do this for both halves; then mix the ingredients all together. Season with salt and pepper to your liking. Finally add the mixture back into the two squash halves, top with the shredded Mozzarella cheese and place under the broiler for 3-4 minutes until the cheese has melted. Garnish with chopped basil or parsley and serve hot. *If your squash is smaller than 3 lbs, check after 35 minutes. The squash is done with the outer skins start to shrivel inward. Carrie, I forgot to buy the baby spinach, do you think if I thawed leaf spinach and squeezed dry I could substitute? Absolutely! I’m sure it will be fine as long as you squeeze out most of the liquid like you said. 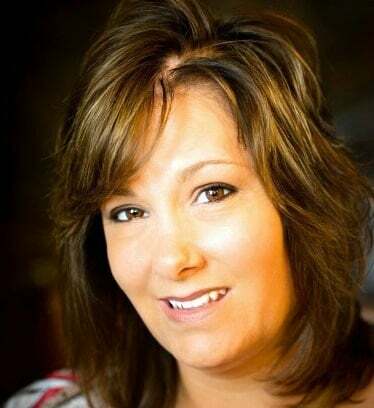 I hope you enjoy the recipe Carol! I was going to make it again this week myself, but for some reason my store was out of spaghetti squash! ?